Airport Marketing (AMI) creates experiential marketing programs in the world's leading airports that enhance the travel experience by engaging a unique group of ultra-desirable consumers everyday. Travel can be harsh on skin-causing it to be sensitive, although it isn't always easy to see how. Simple Skincare® wanted to show consumers how their skin can be sensitive to the challenges it faces while traveling, and reveal how Simple Skincare® can provide the answer in being kind to skin. Their goal was to drive awareness, deeper educate and engage on travel skin triggers, and engage passengers with content and product trial. These goals were to be supported with strong social media activation and awareness of the launch of their online skin forecasting tool. All within a relaxing atmosphere. AMI created Simple Skincare® Oasis experiential marketing spaces post-security in two of the nation's busiest airports, Chicago O'Hare and Charlotte Douglas International Airports. 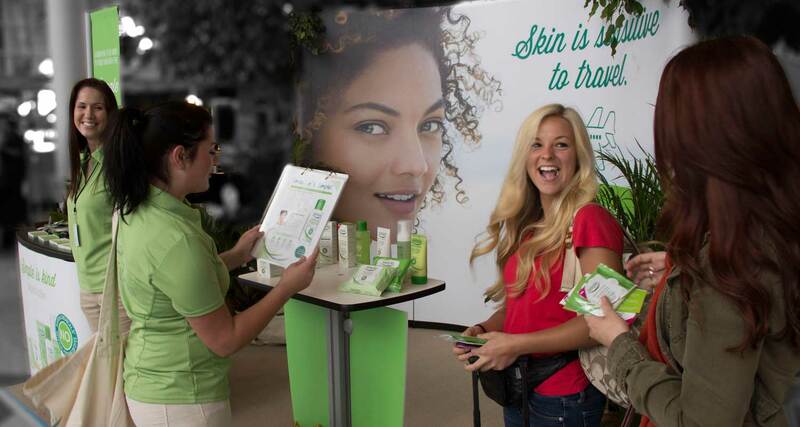 Over the course of 10 days AMI Brand Ambassadors sampled three separate products from the Simple Skincare® product line, distributed tip cards for keeping your skin healthy while traveling, coupons for Simple Skincare® products and branded giveaways. In addition AMI created a station for live trial and usage of the online skin forecasting tool as well as a station for display and learning about the full Simple Skincare® product line. Simple Skincare® saw an increase in brand awareness from this program, and the airports benefited by providing an enhanced travel experience for passengers. The program was a resounding success, with the distribution of over 170,000 samples, 60,000 coupons, 50,000 tip cards and 13,000 giveaways during the course of the program, meeting all distribution goals. Lexus strives for their brand to be associated with quality, luxury and superior customer satisfaction within the automobile industry and sought to create a unique user experience for Lexus owners as they travel through Boston Logan International. Utilizing sponsorship and experiential marketing funding, Lexus and the New England Lexus Dealers Association were looking to accomplish two goals within the New England area; product differentiation and increase traffic to local dealerships. To accomplish these goals, AMI created a first-of-its-kind sponsorship of a Preferred Parking Program at an airport — Lexus Passport Gold (LPPG). The sponsorship provides Lexus with brand immersion within the exclusive parking areas, one-to-one communication with members through various entitlements, and incentives to increase traffic to local showrooms. Through a myriad of entitlements offered to Lexus, they are also able to tie specific benefits to Lexus car owners into the travel experience at Boston Logan. 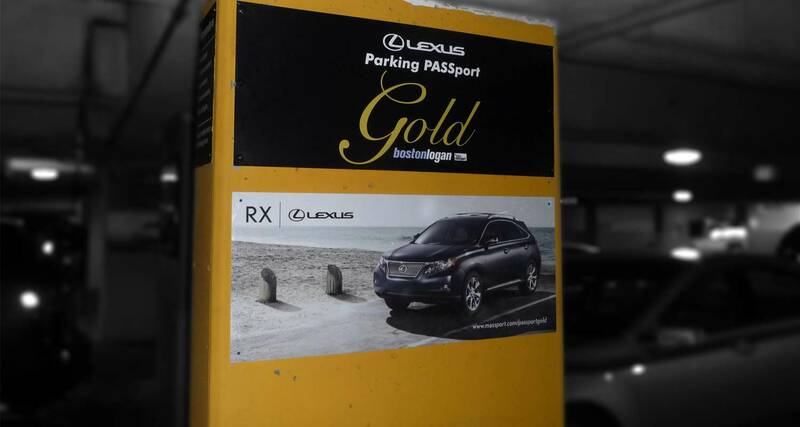 In addition, Lexus branding is extended through all Boston Logan outreach efforts promoting the Preferred Parking Program, including their website and local media advertising. Upon completion of the sponsorship roll-out, Tim Bliss, Lexus Vehicle Operations Manager, had the following to say: "This is our first foray into the world of airport marketing in the Northeast and we're very excited about the program we built with AMI. We anticipate a very positive response to the platform created to showcase our full line of Lexus vehicles." Since the beginning of the program in March 2011, the Lexus Passport Gold program has seen an increase in its membership of nearly 50% (4,963 to 7,334 in October 2013), with continued growth each month. In the summer of 2013, AMI partnered with the Legal Seafood restaurants inside the airport on behalf of Lexus. The loyalty program was designed to show appreciation to the existing members for their participation in the LPPG program and to also help ease the burden of the hectic summer time travel period. Each LPPG member received a voucher for a free appetizer along with an incentive promoting the Lexus GOLDEN OPPORTUNITY sales event. Whether you are a road warrior or on vacation, travel takes its toll on your body. And with the extra time we have on our hands at airports, why not take the opportunity to learn more about health & wellness and participate in some travel wellness activities? 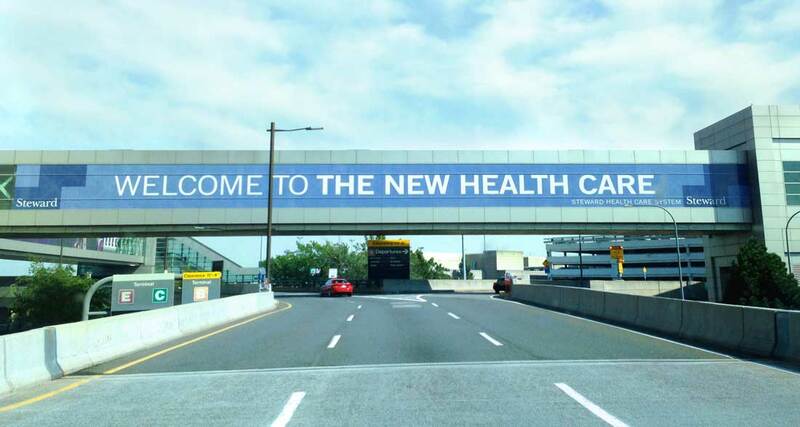 Stewart Health Care, the largest fully integrated community care organization and community hospital network in New England, looked to AMI and its strategic partner nLIVEn Health to develop a Health & Wellness Sponsorship Program at Boston Logan International Airport — the first-of-its kind in this new sponsorship category. The goal: reinforce and expand Steward's leadership position in the region to individuals and small businesses. AMI and nLIVEn set out to design a comprehensive experiential sponsorship program that incorporates prime locations for awareness and innovative engagement methodologies with the goal of enhancing the passenger experience. The program features designated walking paths and health stations for blood pressure, BMI and heart rate throughout the airport. The program also includes branded hand sanitizers with key health messages, a branded security program, public announcements on AMI's "Air Waves" airport-wide audio system, as well as impactful signage in best-of-class locations. This unique program is experienced by the 30 million passengers that frequent Boston Logan each year. Every day, throngs of passengers can be seen picking up the "Strides for Health" map and walking between health stations — burning calories along the way. "While you are waiting for your flight, why not put that extra time to good use?" states Dr. Juliet Nimako of Steward Health Care. Experts agree that as little as 30 minutes of brisk walking can have a significant positive impact on your health. For Steward Health Care, this unique sponsorship has produced exceptional results in the first 9 months, generating in excess of 150 million impressions, with over 160,000 printed materials distributed and over 40,000 completed health station assessments. Pepsi's focus was getting their new product, Pepsi Next, into the hands of football fans, who are a large target market for the brand. As a seasoned Super Bowl sponsor, Pepsi was aware of its ability to reach this demographic through AMI's sampling and experiential programs inside of the host city airport. Success. We distributed 60,000 samples, reaching a very significant percentage of those traveling through New Orleans for the Super Bowl. 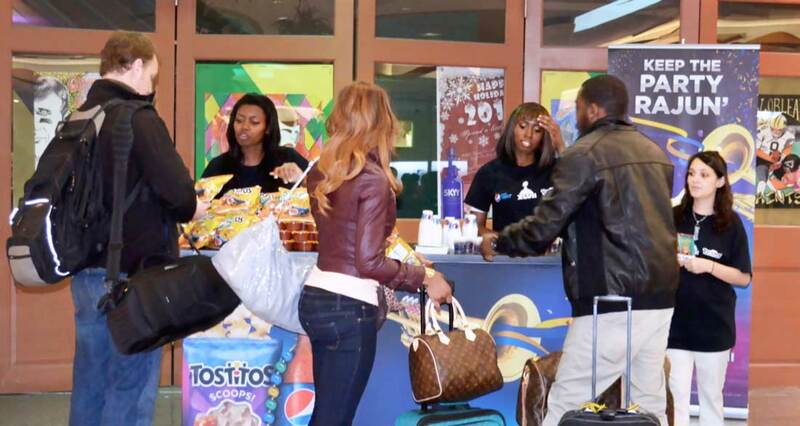 Nearly 85% of the passengers who sampled the Pepsi and Tostitos products were trying them for the first time. Almost three-quarters of those who sampled said they would purchase the products within the next 30 days. Throughout the program, passengers asked questions including, "How many calories are in Pepsi Next?" and "How long has Pepsi Next been out?" After the program, we provided Pepsi with meaningful, measurable data that is invaluable to the brand. Discover why airports are your perfect venue for experiential engagements. AMI connects with a rich, ripe and captive audience all while putting your Brand at the center via a robust activation — with a unique audience everyday. Most passengers typically spend 90 minutes (post security) waiting for their flight, making them the perfect receptive audience. Unexpected and welcomed, guests will delight in the brand that puts something pleasant between them and their busy day. Airports are a unique venue where the little things can mean a lot. Whether it is preferred parking, expedited security or an entertaining diversion - Brands can leverage the value of a positive lasting impression. For over a decade, Airport Marketing (AMI) has partnered with forward thinking airport management teams to create sponsorships and experiential marketing campaigns that enhance the passenger experience while driving significant new revenue opportunities. We are proud to have developed "first of their kind" sponsorship programs with Boston Logan, Philadelphia, Chicago O'Hare, and Denver to name a few. We are equally excited to be developing emerging new sponsorship categories with our airports and through our strategic partnership with Clear Channel Airports. Here are some examples of programs operating in airports today. AMI has developed a system of operational excellence through the management of thousands of events globally every year. Our extreme focus to detail and experience with airport complexities allows for a very open and well-developed communication process throughout the development and execution of programs. And airports will tell you how AMI's proven turnkey business model makes it simple to enjoy the benefits of these programs. Whether working in conjunction with our strategic partner, Clear Channel Airports or with airport management teams directly, our uniquely qualified team of experts will manage all of the logistics, complexities and heavy lifting — with your review and approvals every step of the way. At AMI, we know the real value of airports. AMI's vast experience in today's air travel environment and knowledge of passenger motivation enables us to leverage both in order to offer incredible integrated, multi-engagement marketing and sponsorship opportunities. As you'll see, some of the country's biggest and busiest airports agree. We're intimately familiar with experiential sampling programs and product demonstrations. The genesis of our organization came from ASM and Opus Solutions, nationally-recognized leaders in experiential event management and execution, which enhances our own expertise. A look at our track record of success for our corporate clients demonstrates how uniquely powerful airport-based marketing programs can be. We're marketing pros. Whether implemented as a client's sole promotional tactic or integrated with other marketing campaigns, AMI's airport-based marketing income programs can target, touch, and influence the millions of top-tier consumers impossible to cost-effectively reach until now. We offer powerful teamwork built on individual talent, strategic relationships, and an unwavering vision of where we believe this industry is headed. Our executive staff brings a combined 20+ years of involvement in and implementation of 10,000+ events, sponsorship, experiential marketing, airline, and airport-based promotions. © 2014 Airport Marketing Income. All rights reserved.